A photo booth, some arm twisting and a tiger. 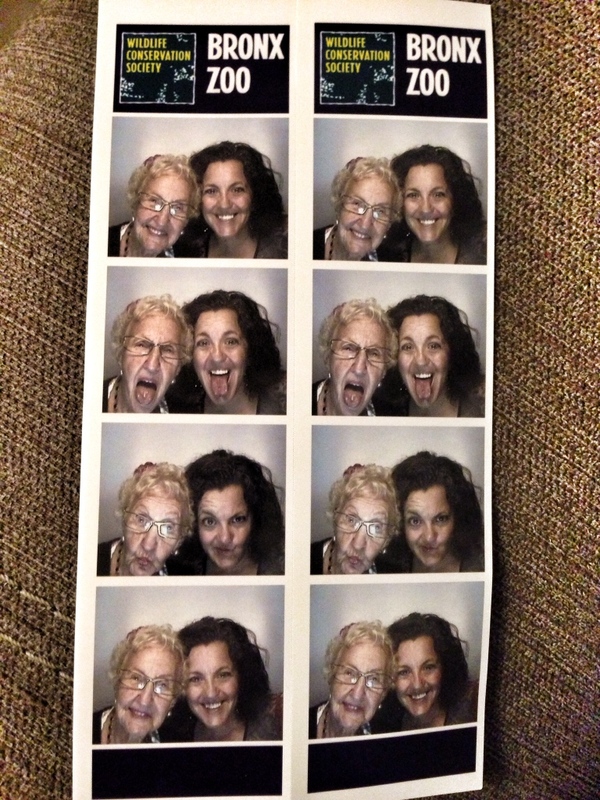 Gram, just make a goofy face. It isn’t “undignified.” It’s fun. No. It’s a photo booth. We look at the camera, make funny faces and it takes a series of photos. I’ve been walking up and down hills next to that electric scooter for more than three hours, Gram. Stick out your tongue or I’ll put you back on the monorail and feed you to that tiger! ← Just get on the plane, Gram. You’re not getting any younger.